In Axion Agro, a consultancy firm in the agricultural and food sector, we operate according to the above principles. foresee impending opportunities and suggest pioneering solutions, tailored to the true needs of every private or collaborative business. We design curricula allocating EU funding effectively and pave the way to success by becoming an example in the industry. We have always provided solutions of great efficiency with transparent and accurate management. 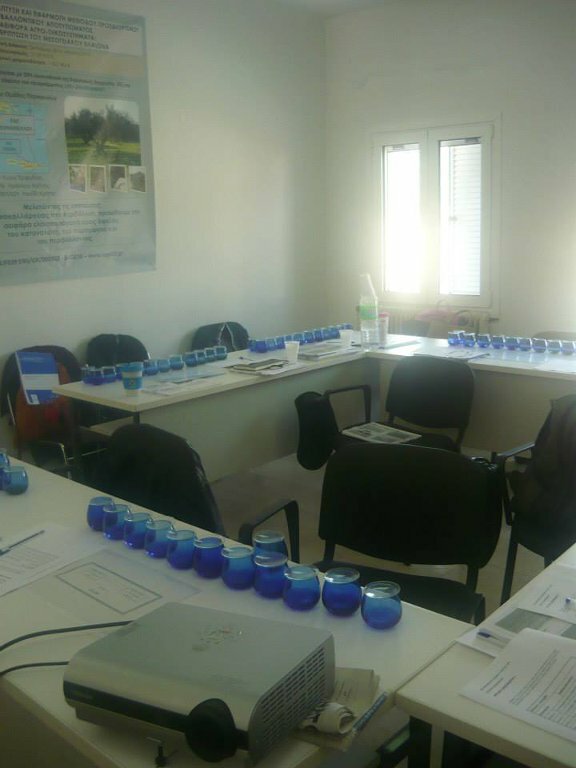 Forming the first certified olive and olive oil tasting panel in Crete. 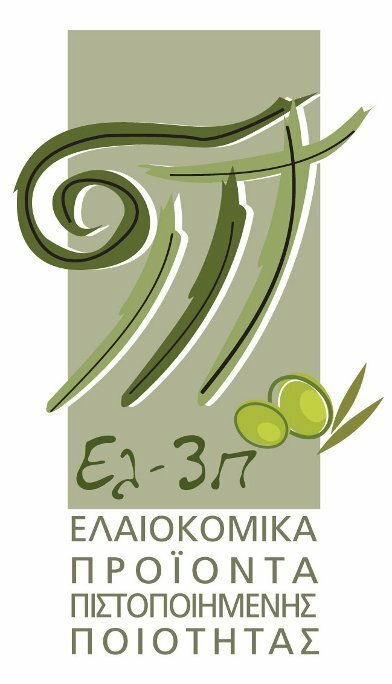 Axion Agro, in accordance to community programs 1331/1304, 2080/05 and 867/08 created in EAS Meramvellou the sole, in Crete, and only the third nationally accredited Virgin Olive Oil sensory evaluation laboratory under the guidance of chemists Effie Christopoulos and Maria Lazaraki. The project overviewed the supply of the required equipment, its’ installation and the training that would allow the proper conduction of sensory analyses. EAS Meramvellou currently undertakes the formal olive oil samples examination and the test reports’ release to the requesting producers and organizations. 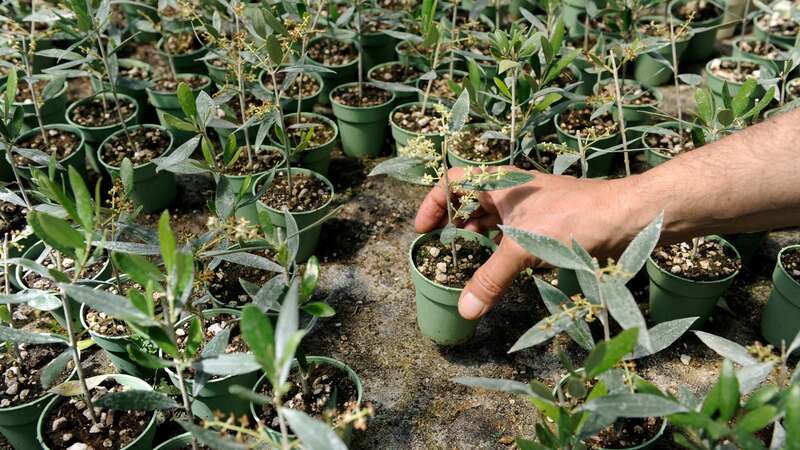 The year 2003 marked the start of the implementation of the Olive Production Integrated Management Programme, which initially involved 23 Collaborations of 1,450 manufacturers covering 50,000 acres under the strict supervision of agronomists equipped with 32 computers, iPAQ and GPS devices. We have certified more than 9,873 producers throughout Greece by taking the Programme a step further, implementing Precision Agriculture methods using satellite sensory systems. Precision agriculture is now the world’s most trending farming practice using pioneering technology. 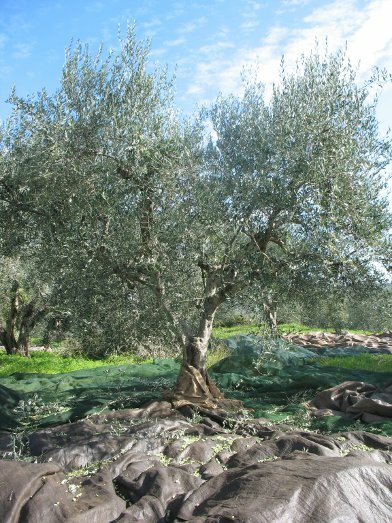 Creating the first table olives plant in Crete. 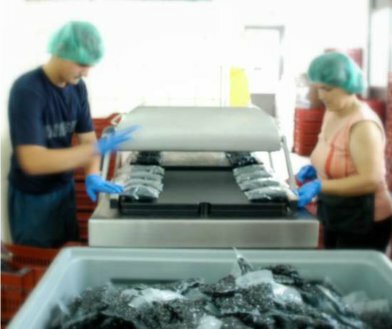 Axion Agro knowing, respecting and often detecting the needs of organizations, created the first table olives processing factory in EAS Messara, Crete, from scratch. The unit cost rose to only 93,560€ (space configuration, equipment and the services of Mr. E. Kaltsas who had the technical supervision). Since then the Union can truly exploit the local variety of Hondrolia (savory), being able to process enough raw produce to reach the amount of a ton of processed product even if it needs to be placed in very small packages. Initiating programs for Operators’ Organizations of the Olive sector in various producing regions. 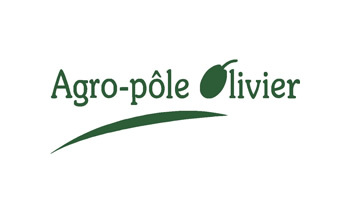 Axion Agro through a timely intervention in the olive oil business, succeeded in informing about the programmes and rallied 23 Unions under Eleourgiki and submitted the largest approved programme absorbing 48% of the national budget. 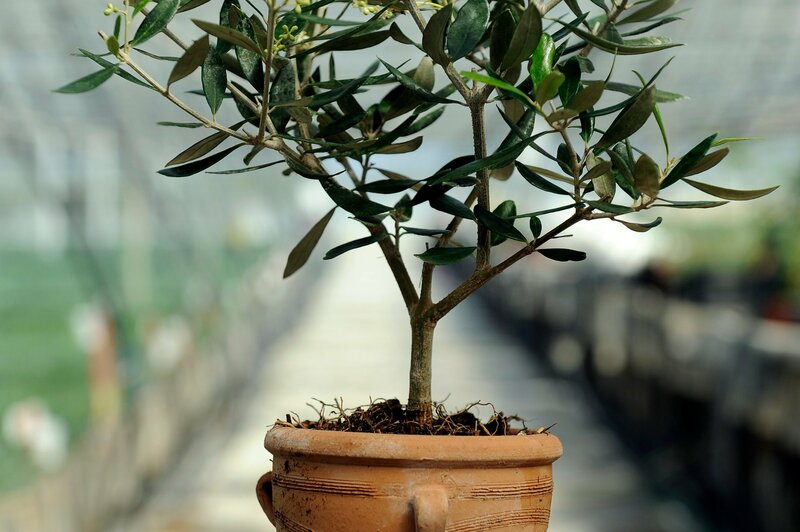 Nowadays, such programmes, involve more than 35 organizations from all the Greek olive-growing regions throught the implementation of a series of activities. Through the creation of a joint Greek-Italian quality control, certification and traceability system. Through oil production programmes Axion Agro has formed, in collaboration with the Italian CNO, a unified Greek-Italian olive products trace ability system. In this context, stakeholders have agreed on the characteristics and processes of the products while setting strict, certified quality standards. To underline the importance of this effort, Enosi Pezon produced the fully traceable Anassa olive oil according to ISO 22005:2008 certification, under an Environmental Product Declaration and QRCODE that included data trace ability tags. Establishing business networks to reinforce quality and extroversion. In 2005 we created the Certified Quality Olive Products Association (El3P) currently numbering several members. The enterprises that chose the path of product differentiation by marketing certified quality products, within higher price ranges, surpassing the usual difference levels between private and cooperating producers of different regions, showcased the need for such an association. The existence of El3P based on three pillars: safeguarding product quality, networking partner enterprises on equal terms and promoting global exporting. Promoting and installing equipment for measuring olive oil content in support of common grinding. The placement of oil content measuring devices was, originally, somewhat revolutionary as few even knew of their existence. The various applications and in mainly the fact that they are a prerequisite for oil producers to progress into common grinding, lead to their placement in 31 clients of Axion Agro, who suggested their adoption since 2003. The Pezon Association has now adopted the system of common milling in two cooperative milling facilities through community programs, under the consultancy of Axion Agro. By organizing educational trips to other olive-producing countries. In pioneering fashion for the Greek standards and according to the EU 2080/05 directive we organized and executed educational trips for 225 producers in olive producing regions of Italy, Spain, Southern France and Morocco. The tour included visits to mills, bottling plants, institutes and fields, and meetings with agronomists, chemists, producers and representatives of large companies to exchange knowledge and experience in organizing production, cultivation and marketing. These educational trips were a nice way of knowledge and experience in the global oil production. jointly-run unions and businesses operating abroad. utilizing available resources and thus strengthening our clients’ and by extension, our own presence in the global market. Our progress has inevitably been marked by the presence of Vasilis Zampounis and his invaluable experience in the field of olive oil since 1980. In a fast-moving world, we try to keep up with the pace of change and provide the same quality information to a greater public. From the “Olive & Olive oil” magazine, we have now proceeded to online news services going as far as to creating a journalist website. We provide timely, valid information on all the matters that concern and affect the olive and olive oil production sector, as well as the broader agricultural sector in Greece and abroad. disseminate them online and/or through press releases. We value our clients enough to put ourselves to the test of providing the best possible solutions to their problems. Practicing that for a really long time we have bonded into a small family, we managed to form a team functioning with precision that makes us proud.